What's new in Game Connect? We’ve just updated Game Connect to introduce an easy way to deal with “Unrecognized barcodes”. 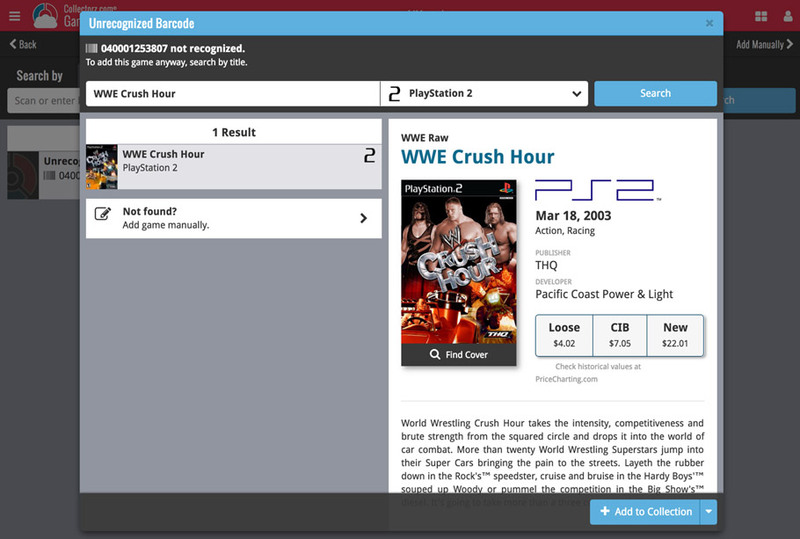 A new screen that not only helps you to add the game to your database anyway, but also helps your fellow Game Connect users by instantly adding the missing barcode to the CLZ Core central online game database. In the Add Games screen, when a scanned or typed barcode is not recognized, a new “Unrecognized barcode” screen will appear. In this screen, find the game by searching for its title (and find a cover if you want) then click Add to Collection. Add the game to your own database, with the information you picked. Add the game to our Core central online game database.